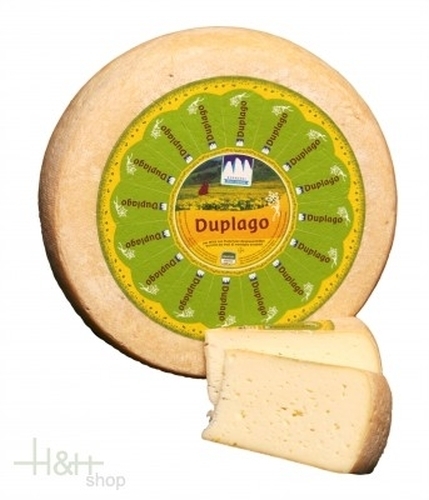 Duplago cheese with hay milk dairy Three Peaks whole form appr. 6 kg. Buy now this product together with Wachal Cheese with juniper berries DEGUST approx. 600 gr. ready for shipment: in stock Wachal Cheese with juniper berries DEGUST approx. 600 gr. Cheese Dolomites emperor dairy Three Mountains loaf ap. 11 kg. Herb cheese alpine dairy Three Peaks loaf approx. 3.5 kg. Hochpustertaler cheese dairy Three Peaks approx. 500 gr. 9,55 EUR / 19,10 €/kg. Grey cheese low-fat cheese approx. 650 gr. - Dairy Algund 11,95 EUR / 18,38 €/kg.